Whether you plan to start your own hosting company, or you are just looking for a large site that can handle all of your needs, a reseller hosting package may be the answer. There are several advantages that you will have by selecting this option, which we will detail below. More Room to Grow ’ If you have a large website, a lot of traffic or you need several sites for your business, a reseller package will allow you to pay one monthly fee instead of several, and it can provide a larger amount of features and space for your company. Many companies prefer to run different segments of their sites with different urls and different servers, which can become quite expensive. If you have a reseller plan, you can simply allocate different amounts of space for all of your needed solutions instead of having to purchase additional hosting plans. 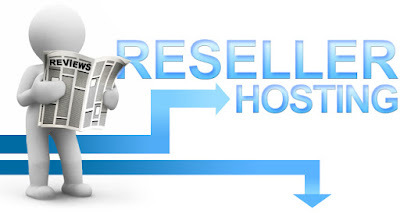 More Features ’ Reseller accounts will typically include a greater amount of features than basic hosting plans. Your control panel for administering your website will normally be more powerful and allow you to manage your site very effectively. Many companies offer unlimited SSL certificates with a reseller account, as well as access to features such as Cpanel, a powerful site control panel that is only offered to companies that use a reseller or dedicated hosting plan. No Maintenance ’ Instead of purchasing your own server for your company, a reselling plan is very similar to having your own dedicated server with one important difference. You won’t be the one having to worry about complicated server issues if something should go wrong. Having a technical support department that is well versed in fixing these problems is a very helpful aspect of having a reseller hosting package. Less Expense ’ Instead of having to purchase a dedicated server, a reseller hosting plan allows you to take advantage of many similar features without the added cost. Most reseller plans are extremely low priced when compared to dedicated solutions, leaving your business with more financial resources for other areas of your site. As we mentioned earlier, if you need to have several sites running at the same time, it is much cheaper to have a reseller plan than several hosting plans at once. For example, instead of paying $29.95 a month for 5 different sites, you could be paying as little as $39.95 for all 5 sites if you had a reseller plan. More Control ’ If you like being able to manage all the aspects of your website, a reseller package will typically offer you the ability to micromanage your site. You will basically have access to many features that allow you to control disk space usage, bandwidth limits and other important areas that come with running your own website. Income ’ If you find that you are not using all of your reseller space, or if you are running a webhosting company, you can make money by reselling space on your site. For businesses looking to increase their revenue, this is a great way to have your site pay for itself and still provide you with the space you need. While there are many advantages to having a reseller hosting plan for your website, there are also some disadvantages that you will need to be aware of before making your decision. Cost ’ If you are planning on running a small site that does not require a lot of features or resources, purchasing a reseller plan may be overkill for your business. While it is nice to know that you have the extra space available to you, if you don’t plan to sell this space or use most of it, you will be spending extra money that could go to other areas of your business. Responsibility ’ This area is of particular concern for business that don’t necessarily want to run a hosting company, but need to sell space to pay for their server. If you are selling hosting packages, you will need to be able to provide support for your new customers. Reseller plans do not typically include customer support for your clients, only for you. If you don’t have the time or resources to devote to providing necessary support, both technical and customer service, you would not be well served by purchasing a reseller plan and selling the additional space. In addition to worrying about providing service for other customers, you will have the added responsibility of administering your own site. Being a reseller means that most hosting companies expect you to be able to take care of yourself and they may not offer a level of customer service that you need. If you don’t have the time to spend answering customer service questions from both your web hosting clients and your regular clients, this can create a problem that will quickly snowball out of control. It’s much too easy to create a bad name for yourself by getting in over your head than it is to play it safe if you have never tried running a web hosting business. Too Many Features ’ If you are only planning on running a basic website, you most likely will not need all of the extra features that are offered with reseller plans. If you don’t plan to use an application or a feature within the next year on your website, than this is a feature that you should not have to pay extra to have, just in case. Don’t fall into the trap of might needing, when you may not ever use a feature. Difficulty ’ If you are not well versed in running your own site, chances are, having to deal with more features and control panels may not be a good option for you. It can be difficult to learn how to administer a site at a reseller level and many site owners do not have the time to learn how to do this quickly.